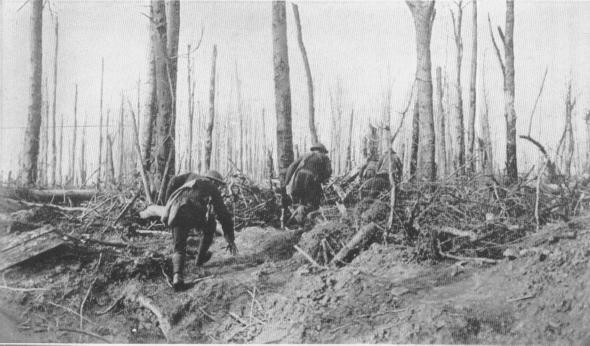 A RAIDING PARTYPatrol of 169th Inf., under Lt. Curry, raiding enemy trench, near Badonviller, France, morning of March 18, 1918. "WAS IS LOS? 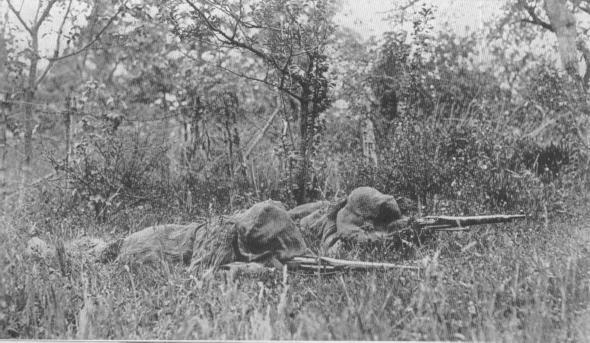 "Snipers in camouflaged suits with camouflaged rifles. Inf. Bn. Headquarters, 42nd Div., Badonviller, May 18, 1918.